Have you used your GPS lately? Nowadays, we have a GPS in our cars, mounted to our bikes, or use a navigation app on our phone because we are prone to traveling down the wrong road, become easily lost, and need help finding our way. We enter the coordinates and trust they will lead us in the right direction. God’s Plan of Salvation works in all weather conditions, anywhere in the world, 24 hours a day. His coordinates are 100 percent accurate. There are no subscription fees or setup charges, because Jesus already paid the price. May we share the gospel of Jesus Christ to a lost and dying world, so they too can find their way home. 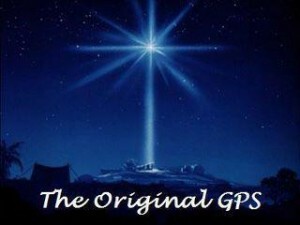 Have you used your GPS lately?